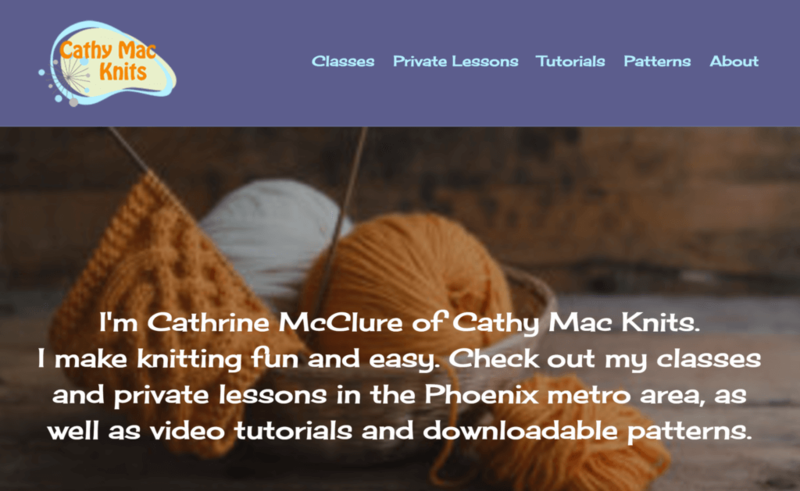 In August we launched a new website for Cathy Mac Knits, the website of expert knitting instructor and designer Cathrine McClure, based in Phoenix. The site makes liberal use of colorful yarn photography for backgrounds, and features a color palette and Eight Trails-designed logo inspired by Cathrine's love of 50s "space age" design. The site is fully responsive to display equally well on phones, tablets, and desktop browsers, and includes links to the Ravelry knit-enthusiast site to purchase and download patterns designed by Cathrine. Planned expansions include online booking for classes and lessons, as well as video tutorials. Eight Trails provided logo and website design, development, and managed WordPress hosting. If you or someone you know is interested in knitting or crocheting lessons or classes, from beginner to expert skill level, check out the CathyMacKnits.com site.